If you are a heavy internet user who can’t stay a day without visiting torrent sites like piratebay , torrentdownload etc just locate ctrl+w on your keyboard and hit it to skip reading this tips ‘cos it will be useful to you. It’s mainly for students and average internet users who wishes to spend only N1,400 monthly for data bills . 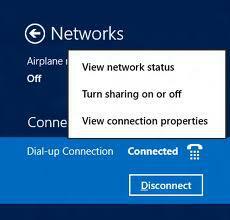 In a nutshell we are simply discussing about 6 simple tips to reduce dial -up / broadband data waste On your computer when on a limited data subscription . Most of us started using adblockplus during the beta stages before it became very popular as many top bloggers started writing articles on it even the popular Computer Registry optimizing software “Tune Up Utility” Made it a compulsory plugin for Mozilla Firefox & google chrome browsers when using the latest (tune up utilities 2013) on windows 8 . Adblockplus Reduces data significantly by blocking almost all popular ad-serving networks like google adwords , clickads etc. It also gives you (the user ) the option to add other server which will greatly reduce your data waste caused by those highly graphic, annoying and embarrassing ads . Using this browser plugin could save you 792mb out of the total 3,000mb allocated which is a very significant amount of data . Having in mind already that your total allocated data is just 3Gb, what need have you giving microsoft / apple some rights to go ahead and install some bunch of so called important updates in form of plugin for internet explorer , Safari, add in for Microsoft office , .netframework and the likes? why not simply go search the updates yourself so you can personally scrutinize the so called critical updates to find out if they are really critical . Considering your limited data plan all you need do is disable automatic windows update , disable automatic background programs update , use tune up utility (or enter windows logo+ r ==> then type in msconfig ==> go to start up) to scan for start up items that uses the data so as to disable them from starting up automatically , this in turn gives you control over programs that are using your data at any given point in time. As many people who are affected by this limited data sub is students who search google daily for projects tips , discovery , guidance , geo-guide etc it becomes imperative to search google like a pro . Tips on how to search google like a pro / expert can simply be gotten by making a simple google search with these key words ‘cos there are many enlightening topics already created on it . When you start searching like this many useless results that eats up about 5% -10% of your total 3gb data sub is significantly saved . Various studies recently has shown that majority of daily visits to pornographic websites are by young people that I personally believed 50% of them are students , Video streaming is one data intensive demon you must avoid if you ever wanna remain on your N1,400 budget for the month. You can even disable images & some other less used media types on your browsers using various plugin since most of your needed doc as a researching student could be pdf, xps , docx or ppt. Overall settings here depends on what you really want , images ? live streaming ? music ? flash animations ? answering this questions will definitely give you an answer to what you are to do here . Since you wanna use your 3gb data only for the month you have to avoid downloading every little stuff you see on the net ‘cos it’s only magic that will let you use 3gb for a month when you download not less than 80 different pc applications a day irrespective of the size, let alone heavy programs and games . Avoiding heavy download and sticking only to attachment , pdf , tutorials , documents etc and zipping your files with winzip / winrar before attaching / upload should save you about 1.01gb of your total data usage for the month . Surprisingly facebook was one of the most searched item of 2012 meaning that many users go through the stress of opening google.com before they can visit the most popular social network site “facebook” funny enough some self acclaimed pro-bloggers also type addresses in search bar before they can visit a site . To save data you use for having to search / type in the address bar for sites you know you visit almost daily you can simply hit ctrl+d on your keyboard to bookmark the site so as to save the cache which makes the page load even faster. With ctrl+d you can bookmark all your daily sites so as to access them easily from bookmark menu .